Sai Public School is modeled on a concept where the child receives comprehensive education. This includes a carefully planned academic syllabus including arts, crafts. sports and communication skills. 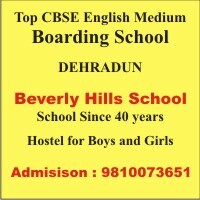 The syllabus is mentioned for preparing a well balanced child for the Central Board of Secondary Education (C.B.S.E.). The course books are supplemented by rapid readers, reference books and other relevant teaching aids. To access the progress of children, one half yearly and one annual examination is held. Assessments are also done through quizzes, projects, C.W., H.W. and unit tests as per C.C.E. norms.